There are so many ways to communicate these days. You can pick up the phone, send a text, email, FaceTime, or perhaps write a good old fashioned letter. 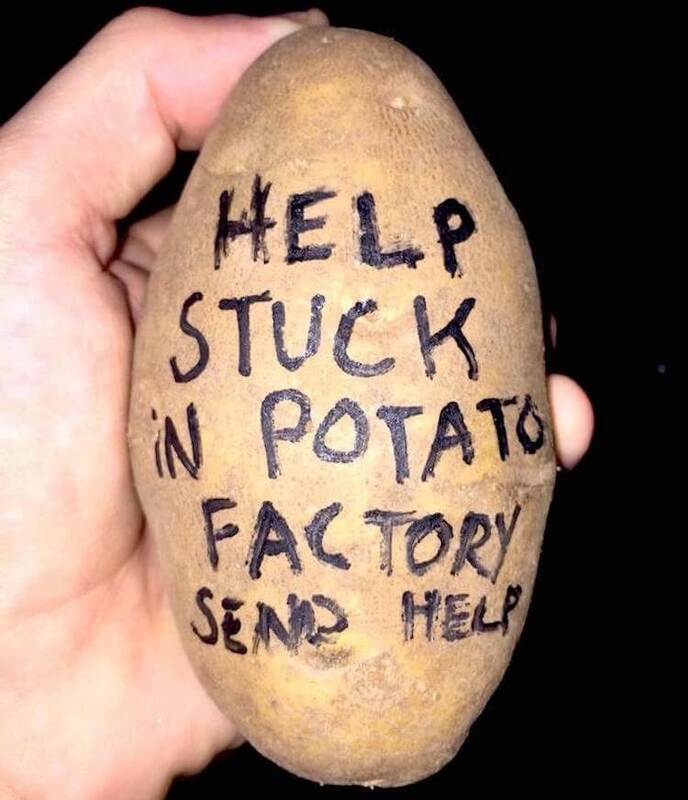 What you may not realize is that you can also send someone a message on a potato. Alex Craig and Riad Bekhit pitch Potato Parcel, one of the most unique business ideas to ever come through Shark Tank in Season 8, Episode 6. Potato Parcel is an unconventional messaging service that that will write your custom message on a potato and send it through the US Mail. Sound too strange to be true? Well the home-grown enterprise has been shipping potato messages since early 2015 and is surprisingly successful. The low overhead, high profit business generates as much as $25,000 in monthly sales. Your custom text can be up to 130 characters, and is individually handwritten on an Idaho Russet potato using a Pilot G2 gel roller pen. Your name and address won’t appear anywhere on the potato or packaging, so you can send an anonymous potato if you so desire. If you want the recipient to know where this unexpected potato came from, be sure to include your name in your custom message. Potato Parcel will write anything you can think of on your potato and they allow profanity, as long as your message is not hateful or threatening. They can even print images on potatoes, which means you can send a Potato Postcard or a Potato Pal (a potato with a face). You can include text with your image or just go with the totally confusing anonymous potato with the face of a celebrity. Orders are shipped from Northern California within 48 hours, with options for expedited delivery. The potato will arrive protected inside shipping packaging, or you can opt for the burlap sack upgrade. Potato Parcel can ship anywhere in US as well as Canada, Europe and UK. It’s a hilarious alternative to a traditional card and an entertaining story that people will share with friends and family. Just in case it has crossed your mind, Potato Parcel recommends NOT eating the potato. Potato Parcel does not have a monopoly on the potato mailing business, there a many competitors. Mail-A-Spud was the first in 2014, but they didn’t send messages, just a potato with stamps on it and no packaging. Alex Craig came up with the idea to write messages on the potato and launched his business on Reddit, despite being told by loved ones that the ideas was stupid and that he wouldn’t sell a single potato. To everyone’s surprise the business went viral on social media which lead to extensive media coverage and television appearances including the Steve Harvey Show.